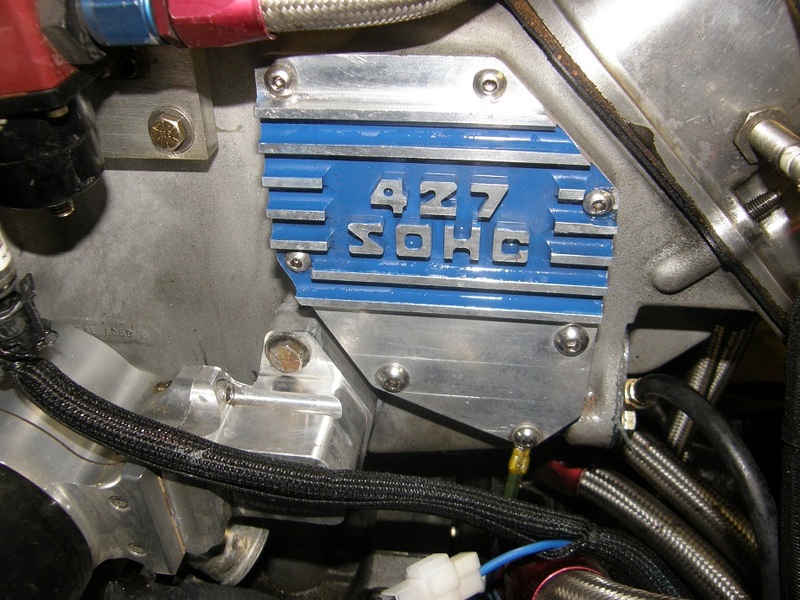 Dress up your 427 SOHC! Terms: Minnesota residents add $9.46 sales tax per set. Shipping via USPS Priority Mail is $7.95 per set to US addresses, $24.95 per set to Canada, and $34.95 per set to other countries. Personal checks allowed 5 business days to clear before parts will be shipped. All sales final. 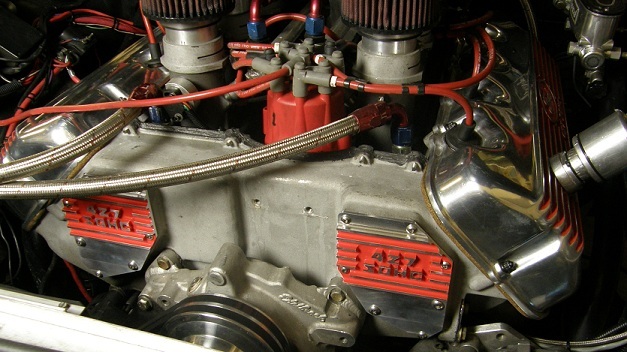 Dress up the front of your SOHC engine with these CNC machined aluminum inspection covers. 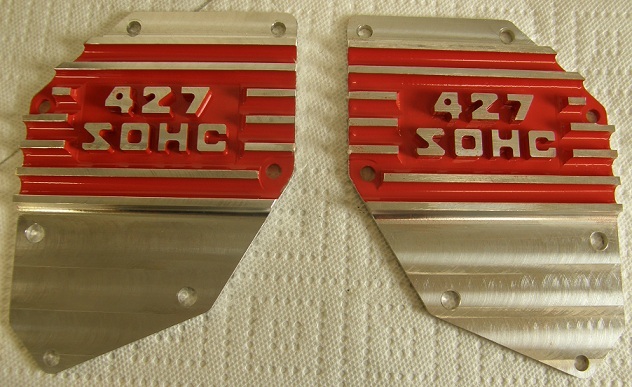 They feature raised ribs with rounded valleys between them that mimic the size and style of the original SOHC valve cover ribs. 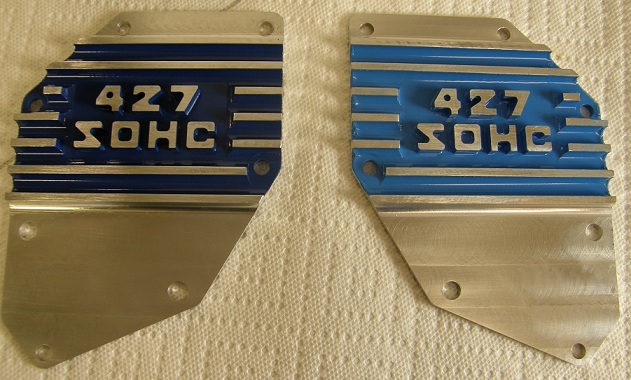 The block letters are also machined to be similar in style to the original "427 SOHC" valve cover lettering. 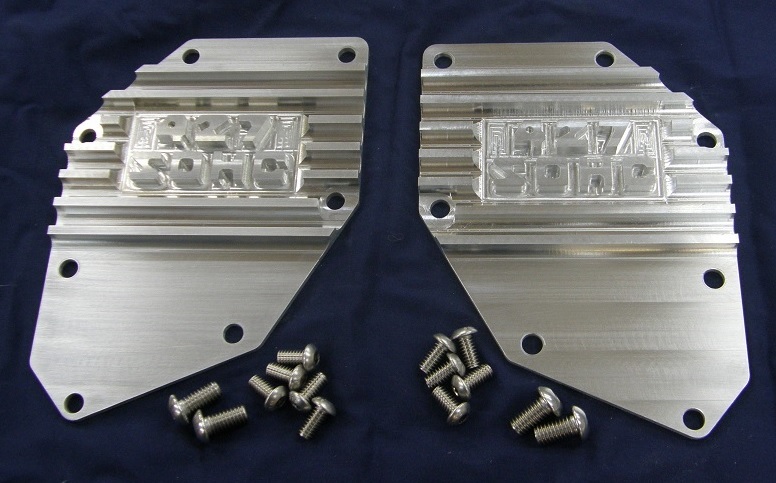 Replacing the plain aluminum or steel inspection covers with these CNC machined versions will add a touch of class to your SOHC engine. 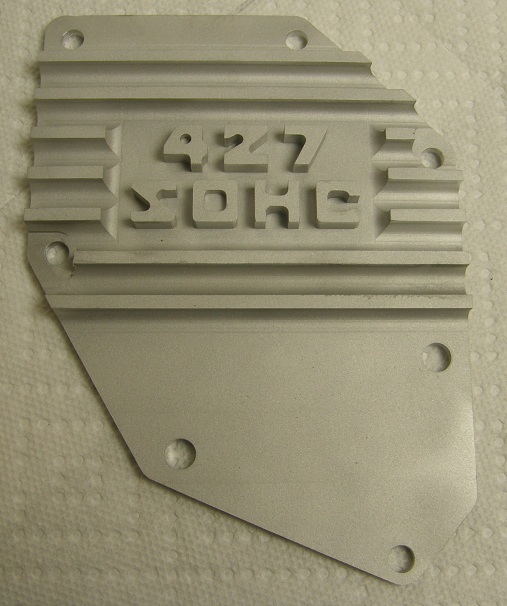 The covers are finished as-machined aluminum, and can be bead blasted for a cast aluminum look, or painted between the fins to match the engine or accessories. Several example pictures of the covers, after bead blasting or painting, and some installed on engines, are shown at right. The covers are delivered with stainless steel button head cap screws for attachment to the timing cover. © 2005-2017 FE Power LLC. All rights reserved. No part of this site, including text, images and computer code, may be reproduced or copied in any form or by any means--electronic, graphic, digital or mechanical, including photocopying or information storage & retrieval systems--without the express prior written permission of FE Power LLC.